Wave hello to some serious seaside fun! Mermaids and mermen will have a blast bouncing in the Flipper Dipper inflatable bounce house. Wave hello to some serious seaside fun! Mermaids and mermen will have a blast bouncing in the Flipper Dipper inflatable bounce house. Friendly dolphins perch on the top of this ocean-themed bounce house which features large white waves, smiling dolphins and blue waves at the bottom. 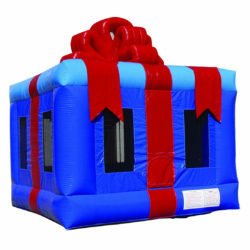 In addition to all of these fun features, this bounce house was designed with safety and durability in mind and constructed with only the highest quality 15 oz. “lead free” materials.